Affordable Side by side lots for your new home or investment! These two lots combine to just under 1/2 acre and are in desirable flood zone X, which will not require flood insurance on your new home! 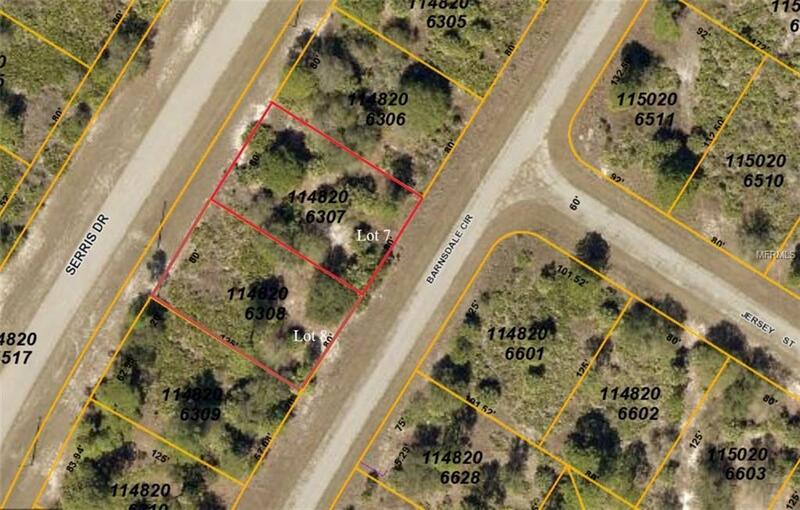 This is a very private location on the Southeast end of North Port in Sarasota County. These lots are in a great commuting location in between the Town Center Mall on 41 and I-75 and Veteran's Blvd. North Port is a desirable growing community and is centrally located in between Sarasota and Fort Myers. Many pristine Gulf beaches, restaurants, shopping and entertainment are all within a quick drive! Listed price is per lot. See MLS# D5918423 for information on Lot 8.